← Low profile, black hats. For when you don’t want to be seen. 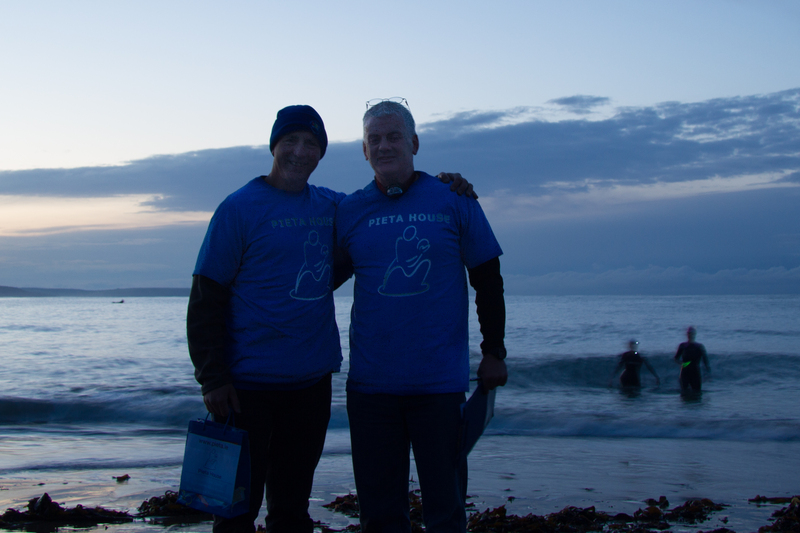 An early start didn’t deter 50 swimmers for taking part in the first Darkness into Light Swim (a twist on the Darkness into Light walk/runs), all for Pieta House. 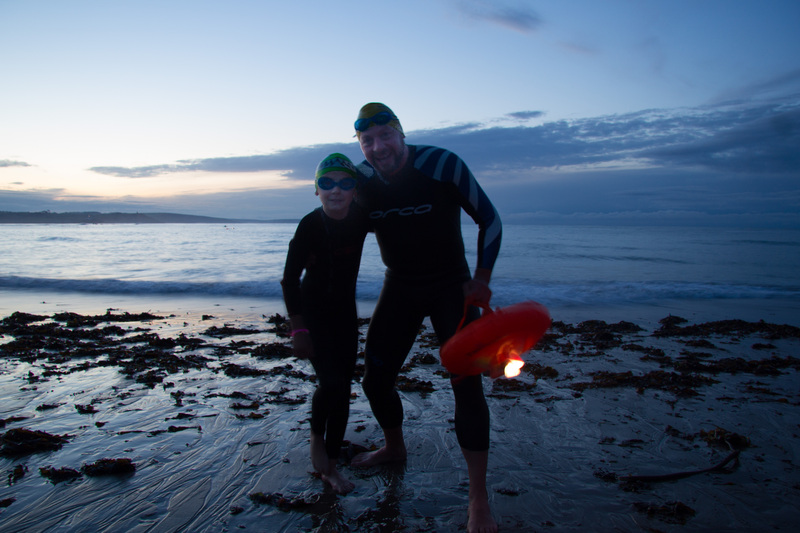 We met at Myrtleville from 4:30am, signed in to get a number on our hands (safety reasons for counting in/out), had a quick safety briefing at 4:55am and were in the water by 5:00am. Rule was to swim towards Fennels Bay (on left, just before Dutchman Rock), and no one to stay in more than 30mins (so we can count everyone out). 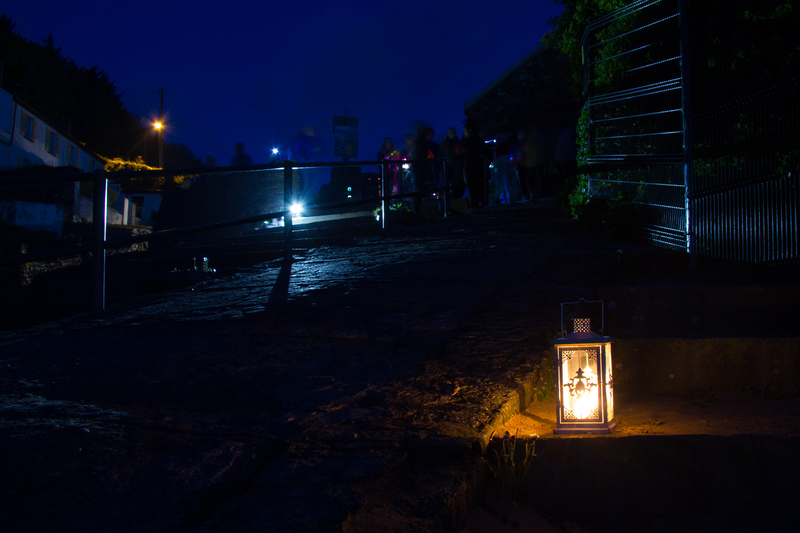 With Rob Bohane and Kevin Murphy as chief land crew, everything went to plan. 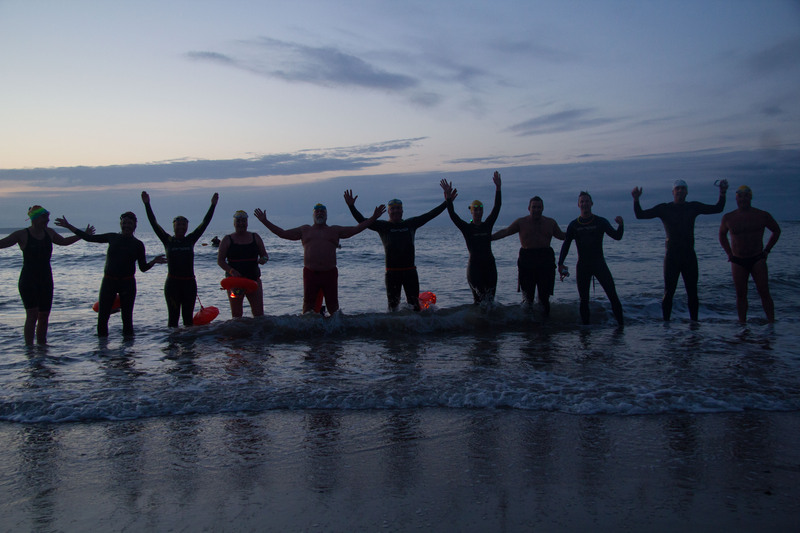 We had swimmers strategically placed amongst the groups, watching, encouraging, laughing!. Riana took some super shots of the morning, and I’ve seen plenty more appear on social media taken from mobile phones etc. 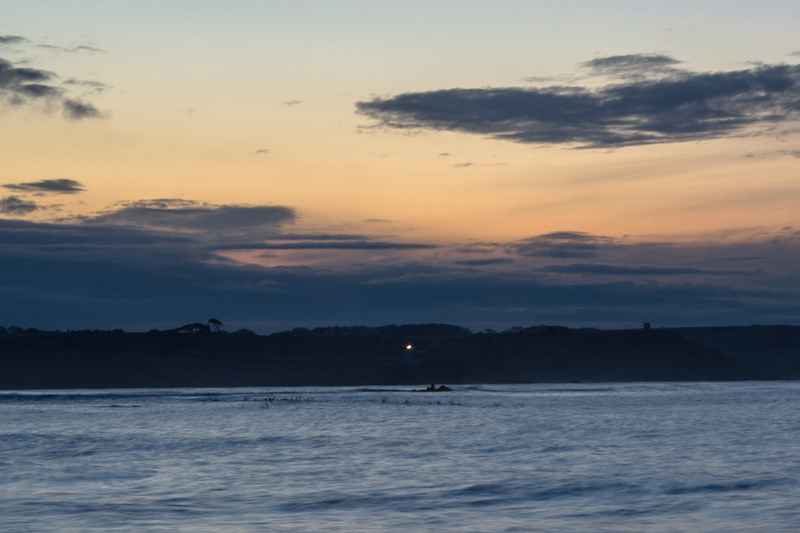 We were so lucky with the weather, very slight swell in the water, sea temp 10deg, air temp 8deg, and the clouds cleared to see a wonderful sunrise from behind Roches Point. 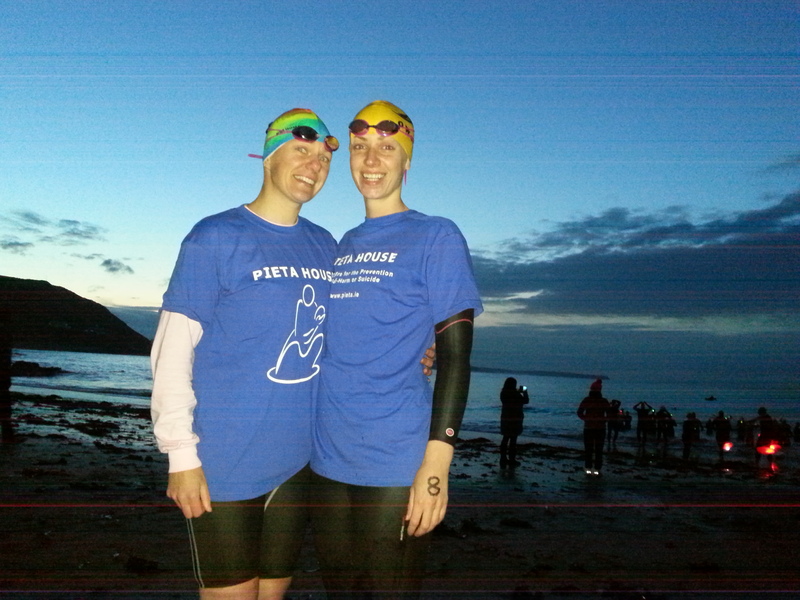 With plenty of money raised for Pieta House, thanks to everyone who turned up to swim, help, take photos & bake! It was definitely one not to have missed. 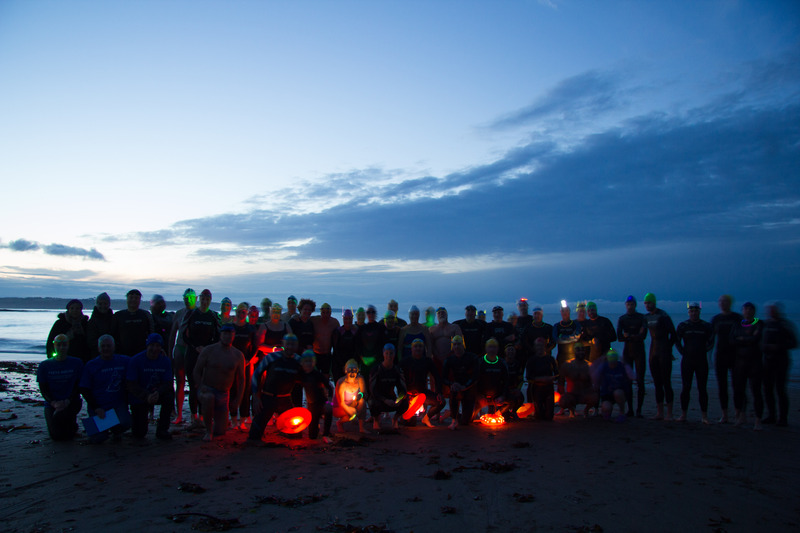 Great Photo of 50 glowing swimmers. 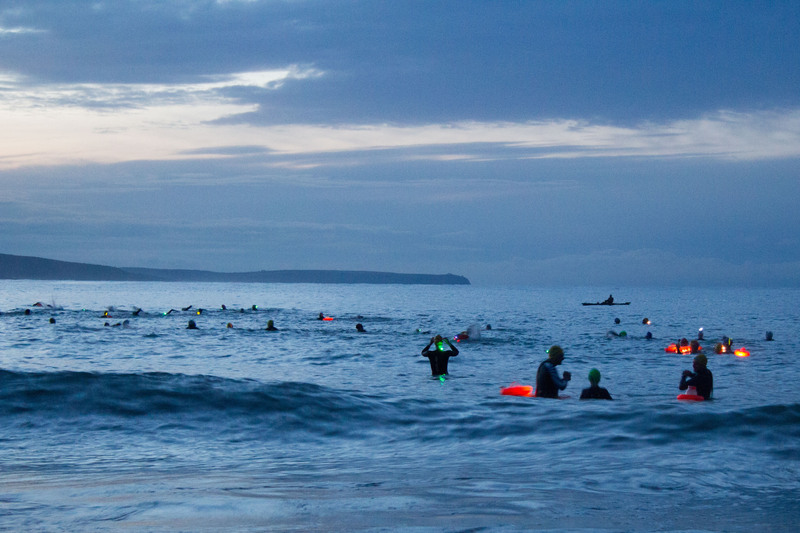 YEAH – 50 swimmers now WIDE AWAKE at 5am in the morning… WIDE awake!